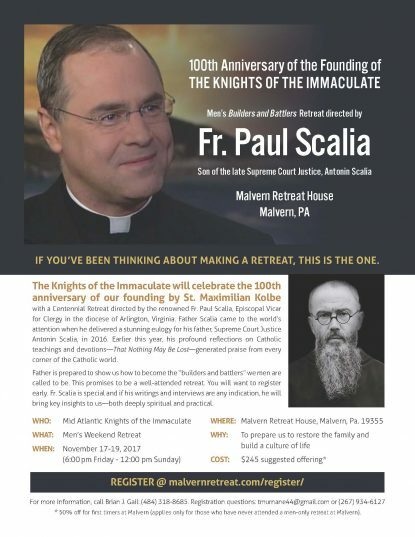 Father Scalia is prepared to show us how to become the “builders and battlers” we men are called to be. This promises to be a well-attended retreat. You will want to register early. Fr. Scalia is special and if his writings and interviews are any indication, he will bring key insights to us—both deeply spiritual and practical.